Satisfy your appetite with international cuisine at Hibiscus, one of the hotel's 2 restaurants. Quench your thirst with your favorite drink at the bar/lounge. A complimentary buffet breakfast is served daily from 6:30 AM to 10 AM. Eden Yasmine Hotel and Spa offers both an indoor and an outdoor swimming pool, a terrace with sun loungers and a furnished garden, just a 1-minute walk from Carthageland, in Yasmine Hammamet. There is also a fitness area, a sauna and hot tub. All of the rooms at Eden Yasmine Hotel and Spa are decorated in a modern, Tunisian style. Each room with attached bathroom features a safe, an LCD TV and a balcony or terrace. The suites also come with a seating area. A buffet breakfast is included and served each morning in the communal lounge. The hotel’s restaurant offers traditional dishes from the region for lunch and dinner. Other facilities at Eden Yasmine Hotel and Spa are a fitness area and free Wi-Fi in public areas. Beauty treatments and excursions to discover the area can also be organized, with an extra cost. Private parking is possible on site at an additional cost and the harbor of Hammamet is 1.2 mi away. The beach is 601 m away. For lunch or dinner, stop by Dar Elezz, a restaurant that specializes in international cuisine. You can also grab snacks at the coffee shop/café. Wrap up your day with a drink at the bar/lounge. Buffet breakfasts are available daily from 6:30 AM to 10 AM for a fee. Make yourself at home in one of the 251 air-conditioned rooms featuring minibars. Rooms have private furnished balconies. Satellite television is provided for your entertainment. Private bathrooms with shower/tub combinations feature complimentary toiletries and hair dryers. 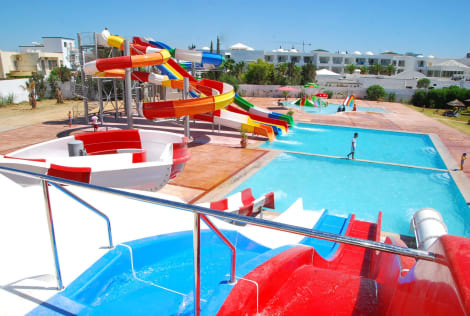 Hotel Zodiac Family Club is only a 5 minutes walk from the beach. 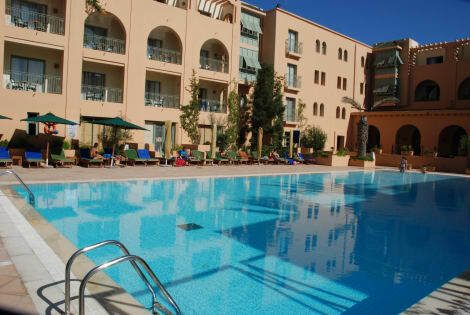 Located in Yasmine Hammamet, it is 200 m from its private beach with free sun loungers and parasols. Guest rooms are air conditioned and equipped with a bathroom and satellite TV. Guests have access to the Zodiac’s fitness centre which includes a heated indoor swimming pool, Hammam and a Vichy shower. There is also a hair salon where beauty and massage treatments are available. Meals are served in the main restaurant, and during summer there is a Barbecue café and an ice cream stand next to the pool. 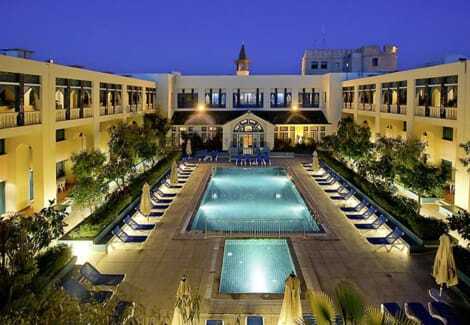 The Hotel Zodiac is 1 hour’s drive from Tunis-Carthage Airport. On more than 4 hectares, the Alhambra Thalasso welcomes you in a verdant setting. 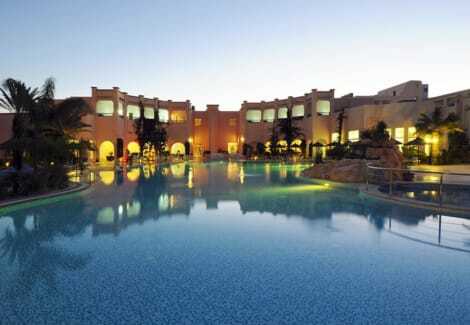 But for your stay to be unforgettable, our hotel Thalasso Tunisia leaves you the choice between 184 rooms and suites. In an architecture with Andalusian spirit, find the charm of Moorish decoration. Luxurious and pleasantly furnished apartments, facilities adapted to every expectation and every desire, and a refinement down to the smallest details. Pamper yourself with a visit to the spa, which offers massages and body treatments. After a day at the private beach, you can enjoy other recreational amenities including an outdoor pool and an indoor pool. This resort also features complimentary wireless Internet access, gift shops/newsstands, and a hair salon. Make yourself at home in one of the 249 air-conditioned rooms featuring minibars and flat-screen televisions. Rooms have private balconies. Complimentary wireless Internet access keeps you connected, and satellite programming is available for your entertainment. Private bathrooms with shower/tub combinations feature complimentary toiletries and hair dryers. Make yourself at home in one of the 224 individually furnished guestrooms, featuring minibars and LCD televisions. Your Tempur-Pedic bed comes with Egyptian cotton sheets. Rooms have private balconies. Complimentary wireless Internet access keeps you connected, and satellite programming is available for your entertainment. Private bathrooms with separate bathtubs and showers feature deep soaking bathtubs and designer toiletries. The setting of the hotel Diar Lemdina is completely novel and allows a very intense immersion. Indeed, you will reside in the heart of a Medina of over 100,000 m2 reconstituted with fidelity. Located 10 kilometers from the city center and 300 meters from a superb private beach, this establishment guarantees you a privileged location and the intimacy of a medina. Designed in a traditional architecture, Persian or Andalusian depending on the islets, the Diar Lemdina revolve around quiet patios, landscaped gardens and swimming pools. This timeless parenthesis promises you a guaranteed change of scenery. lastminute.com has a fantastic range of hotels in Hammamet Yasmine, with everything from cheap hotels to luxurious five star accommodation available. We like to live up to our last minute name so remember you can book any one of our excellent Hammamet Yasmine hotels up until midnight and stay the same night.